With Le Parfait, achieve your home-made preserves!!! 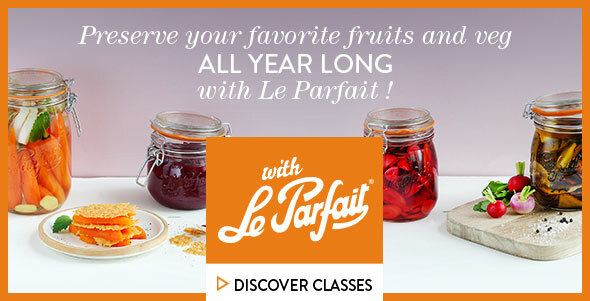 With Le Parfait preserving jars, learn how to easily enjoy your favorites fruits and vegetables! Find out about the different preserving processes to revisit them all year long. From Spring to Fall, 3 complementary classes will highlight the approach of preserves: to preserve simply and naturally the flavor of food, especially seasonal fruits and vegetables. You will be able to taste unique recipes created by our Head Chef.